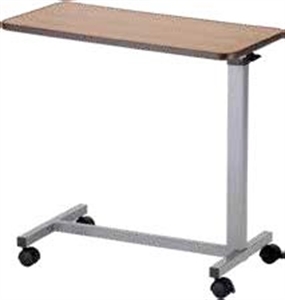 Part# NO6070 • Laminate top • Height adjusts 28.5" to 44.75" • Table Top: 15” x 30” • Base approx. : 26 1/4" x 15 2/5" • Weight cap. 25 lbs. • Height adjusts 28.5" to 44.75"
• Base approx. : 26 1/4" x 15 2/5"
• Weight cap. 25 lbs.